With Metelec being owned by the Gindre group, it gives us the ability to utilise years of expertise in producing semi-finished products. This experience has enabled us to consistently supply quality commutator profiles. 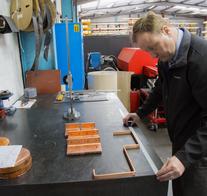 Utilising the most advanced technology available, it enables us to offer copper profiles made to the customers drawings and specifications. 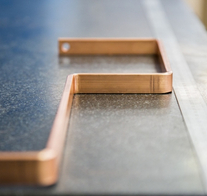 There are many critical issues when producing copper profiles that need to be controlled. 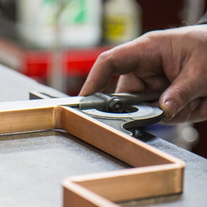 The experience we have in this arena is internationally renowned and our ability to design and produce the most technically challenging profile is second to none, producing with strict dimensional tolerances such as C-connectors, L-shape, Y-shape, H-shapes as well as profiles for heat sinks etc. 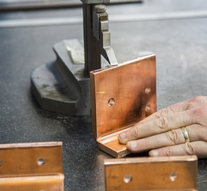 It is also possible for us to produce profiles in both high conductivity C101 – ETP copper and oxygen free copper allowing copper parts to be produced minimising the need for machining, thereby saving processing time and cost. Please give us a call on +44 (0)1922 712665 with your enquiries where we will be happy to assist you with your requirements.